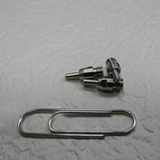 VIMIC is one of the leading companies in Nozzles with high quality and competitive price. Our Dispensing Nozzles cater to those looking for precision nozzles of the highest quality, and our Dispensing Nozzles are especially popular in the LCD, LED, IC field application for Die Attach. We provide Needle, Specialty Needle, Dispensing Nozzle, Small Tool, Jet Nozzle, SMT Nozzle , LED Nozzle, LCD Nozzle, IC Nozzle, Dispensing needle, Micro Needle, Multi-Nozzles , Writing Pen and Dispensing Tool , Glue Syringe and various precision Tool. 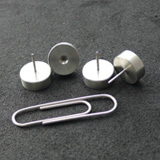 We can do custom-made products to meet the unique requirements of our customers. Dispensing nozzles can be customized in a wide range of lengths and gauges. 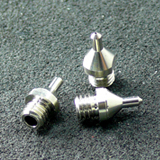 We can provide various sizes and specifications of Nozzles, ensuring durable and trouble-free use. 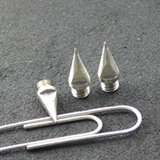 We manufacture a range of tubing sizes used in our multi-needle nozzles. Designed for repeatable dispensing conditions, the OD and ID dimensions are controlled to less than +/- 0.02 mm.